SURKHET, Aug 6: Until a few months ago, Ratnadevi Pun of Gurvakot Municipality-8 spent her days doing household chores from early morning till late evening. She was obliged to spread her hands in front of her husband even for buying little things of her need, as she had no source of income. However, her fortune has changed for good. She no longer has to beg with her husband for buying anything. In fact, she is not just managing her household expenses but is also saving some money. "These days, I make around Rs 800 to Rs 1,000 per day," she said, adding, "I pay my children's fees, arrange things for household use and then save the remaining money." Ratnadevi is currently running a sewing-cutting business in Mehalkuna Bazaar. Laxmi Nepali of the same village shared a similar difficulties in the past. Whenever she needed something, she had to wait until her husband sent money from Malaysia. Now, she earns on her own. Because of this, she is able to save the hard-earned money of her husband. "Earlier, I had to spend all the money sent by my husband to make my family's ends meet. But that's not the case anymore," said Laxmi. Bimala Giri of Gurvakot runs a beauty parlor in Mehalkuna. Though it has been just two months, she says she is earning good money. "Making money isn't a tough task when you have skills in your hands," she said, adding, "Now, I earn around Rs 1,000 to Rs 2,000 per day." Last fiscal year, Gurvakot Municipality organized a skill development training for more than 100 women and youths. Participants were given training regarding sewing, stitching, beautician, mobile repairing, computer training among others. 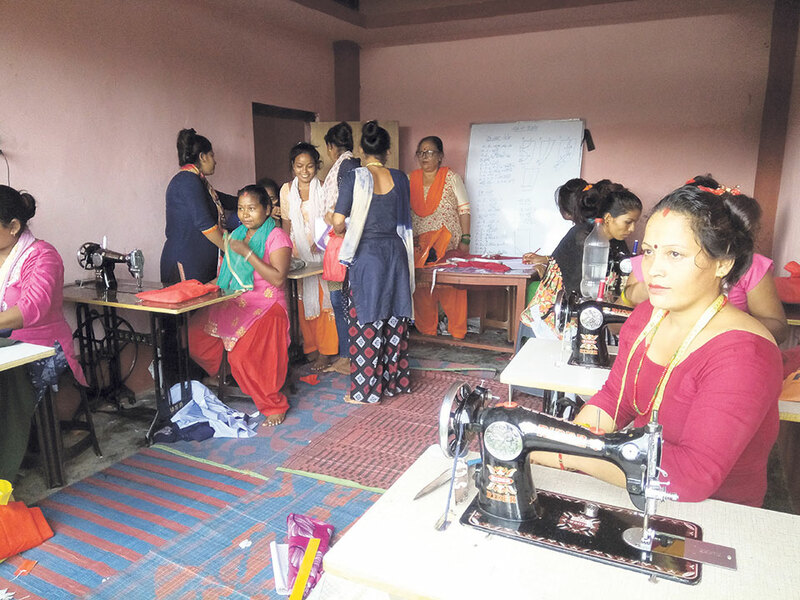 More than 30 women who participated in the training have started their own businesses, informed Kamala BK, chairperson of Matribhumi Mahila Samaj. "The municipality has helped us become financially independent by enhancing our skills," said a local, Khagisara BK. She too has been running a sewing-cutting business in Mehalkuna. As she has two sewing machines, she has provided employment to one of the women of her locality. Maina BK, deputy mayor of the municipality, informed Republica that the program conducted for the target groups have proved to be effective. "We conducted this program to urge housewives to grab employment opportunities. Now, women will no longer be limited to kitchen," said Deputy Mayor BK. She further informed that the municipality would give continuity to these kinds of program in the current fiscal year too.